April 10, 2018 – Tim VipondTim VipondTim Vipond is the Chief Executive Officer at the Corporate Finance Institue, a leading global provider of online financial analyst training & certifications. Lifelong learning is no longer optional. Modern financial analysts require a well-rounded skill set that takes time to acquire: theory, application, intuition, CEO of Corporate Finance Institute® (CFI), was interviewed by Roundhouse Radio on the future of education. Listen to the radio episode for his insights on the emergency of education technology and its influence on the workforce. 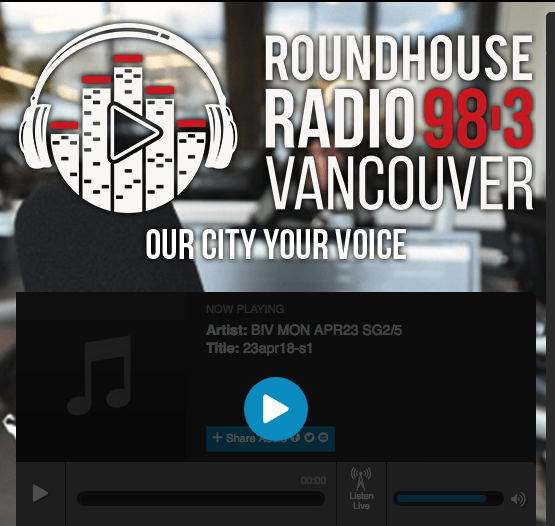 Roundhouse Radio covers local and international news ranging from real estate, retail, tourism, and technology, and business. On Business in Vancouver, hosts Kirk LaPointe, Tyler Orton, and Hayley Woodin meet with the most notable names in the business to discuss the most urgent business issues impacting the city, the nation, and the world.